All major mass-media is predominantly tribally controlled by one tribe. That tribe's scripture describes the mass-murder of non-tribe members ("goyim") as orgasmic to its deity. 36 of 37 "independent" videos of the WTC debacle were made by employees of the tribally-controlled mass-media. 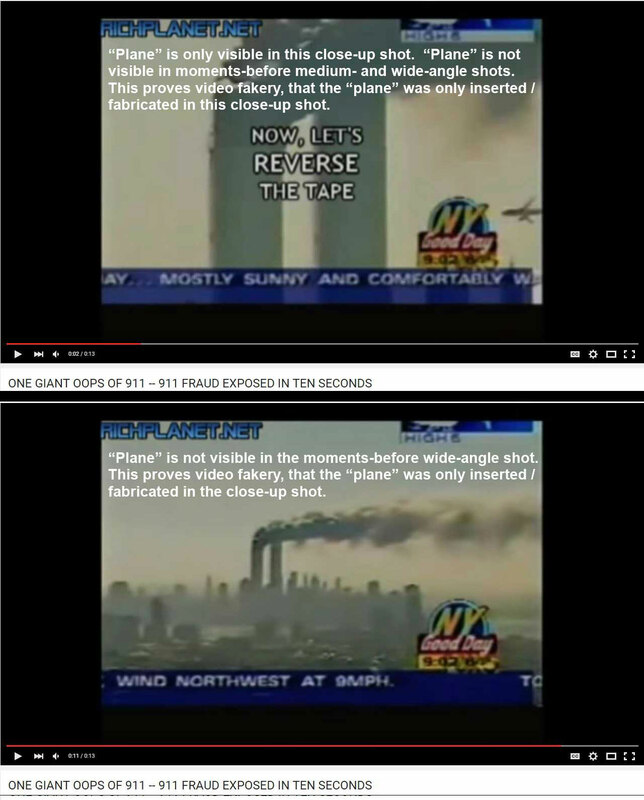 Ten seconds of news video played backwards reveals video fakery in the tribally-controlled mass-media footage. Could feeding its deity's orgasmic desires militate a tribally-controlled mass-media against a mostly (98%) goyim nation? "Gospel" is Greek for 'good news of military victory'. Religion and war, hand-in-hand. The 'concentration camp' locations form a giant pentagram and otherwise unlikely geomantic / ley-line alignments. Hiroshima and Nagasaki were non-military epicenters of Christianity in Japan. Dresden, the world's first pre-planned firebombing created a literal Hell on Earth, killed more persons than Hiroshima and Nagasaki, and just happened to be the home of Martin Luther, father of the Protestant Reformation. The Crusades, Inquisition, Dark Ages, witch hunts and mass deceptions witness religious zealotry sociopathically carried to absolute, murderous extreme. An openly Luciferian United Nations no longer disguises or denies its anti-human nature and purpose. A cult-like Satanic military, having deigned itself almighty, reportedly set off over 1,200 atmospheric nuclear blasts.